I’ve told you already that the one and only contractor who can burn according to the Tokyo Metropolitan government specs (which was clearly designed so that there would be nobody else) is a TEPCO’s subsidiary. NHK reports that the first container from Miyako City in Iwate Prefecture arrived by rail in JR Tokyo container terminal in Shinagawa-ku, Tokyo at 7AM on November 3. It was promptly transported to one of the contractors selected by the Metropolitan government, and the debris was sorted, and crushed into smaller pieces. Flammable debris will go to the TEPCO’s subsidiary (Tokyo Rinkai Recycle Power) located on the landfill and be burned after November 6, and non-flammable debris will be simply buried in the same landfill. 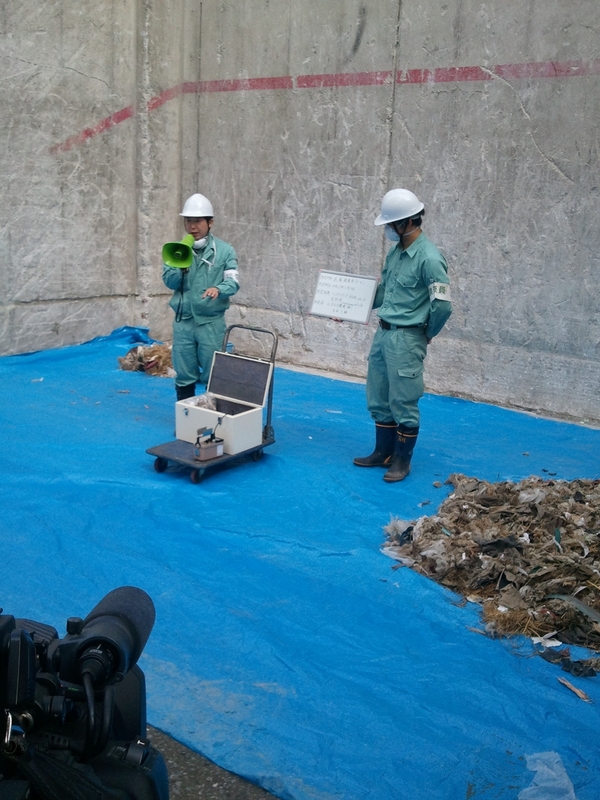 According to NHK, they did measure radiation at the contractor’s site, by putting a bit of the debris in a lead box and measuring the radiation. If you say to yourself “WTF..” you are not alone. As more and more municipalities are saying “No” to accepting the disaster debris pushed by the Ministry of the Environment, Tokyo, and perhaps Osaka, may be the only municipalities willingly burn and bury the radioactive debris.